Researchers at Kaspersky Lab have documented a drastic increase in the number of web users who have been “subjected” to phishing attacks over the past year, according to a new report. The Moscow-headquartered security firm found that 37.3 million people faced the prospect of being phished. In its “The Evolution of Phishing Attacks” study, Kaspersky Lab studied threats faced by roughly 50 million customers running its security products. For several years, Kaspersky researchers have been warning that phishing is the preferred method of online criminals to steal information and foist malware – almost always with the goal to profit – but the mechanisms to automate the process are becoming even more rapidly automated and commercialized with each passing year. Phishing can be spread in various ways, with most attacks (89 percent) appearing in the browser, versus email (11 percent), the report states. 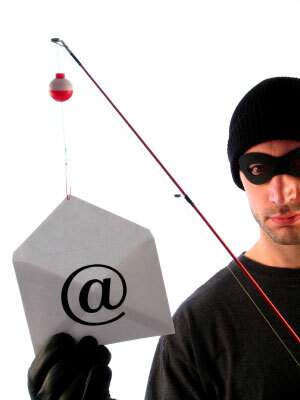 “Phishers use several different methods to trick their potential victims,” the report said. “In addition to the obvious need to create a detailed copy of a website that will be used to attack the victim, the criminals also prepare their cover story by using similar website URLs, replacing one or several characters in the name of the website, or using recognizable website names in the sub-domains. As expected, popular brands like Google, Amazon and Facebook are common brands that are abused by phishing attacks, as well as banks and other financial institutions, according to the study. Most of the scams targeted users in Russia, the United States, India, Vietnam and the U.K. Please be sure to monitor your personal information and be cautious of the sites you provide with your financial information. If you notice any fraudulent or suspicious activity on any of your First Financial accounts, contact us by calling 732.312.1500, e-mailing info@firstffcu.com or stopping into any one of our branches. To protect yourself and your loved ones from identity theft, enroll in First Financial’s ID Theft Protection products today! For more details or to get started click here. This entry was posted in Important Alerts, Preventing Identity Theft and tagged First Financial Federal Credit Union, Important Alerts, Phishing Scams, Preventing Identity Theft by Marketing Coordinator Nicole. Bookmark the permalink. Reblogged this on Harvard Benefits. I’ve almost fallen for phishing attacks a few times. It’s tricky when there’s typos in a web address. It makes you really appreciate when a website buys the domains that are similar and uses redirects.